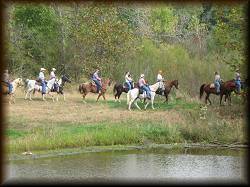 With almost unlimited riding trails you will not know how long to ride....we'll be looking for you. Our timbered trail system begins at the campground and heads directly into our very scenic Lion Gulch. We enjoy riding our trails which vary from well maintained routes wide enough for riding two abreast, to rugged single file trails that meander amongst beautiful oak and cedar forests. You will encounter numerous rock bottomed creek crossings and several unique rock outcroppings. Deer and turkey are abundant and may be viewed along the way. A band of replacement fillies can sometimes be seen as well. 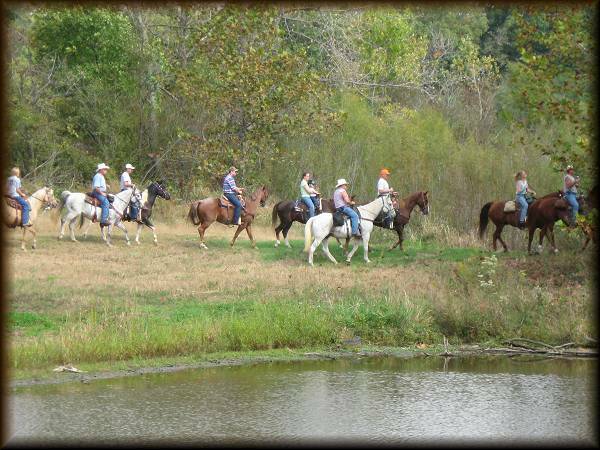 Our trails border and have direct access to the 9,000 acres of Shimek State Forest which offers another 40 miles of established horse trails. 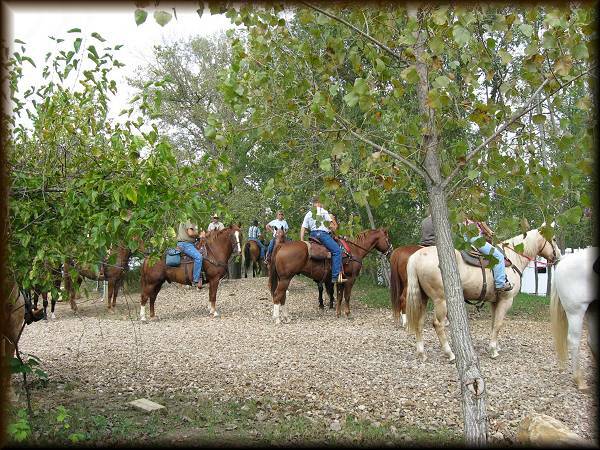 Riders can choose from numerous short trail loops to all day adventures or all night if you are a pilgrim and get lost . Maps will be available for your convenience. Our trails on our 600 Acres are open during camping season everyday rain or shine. 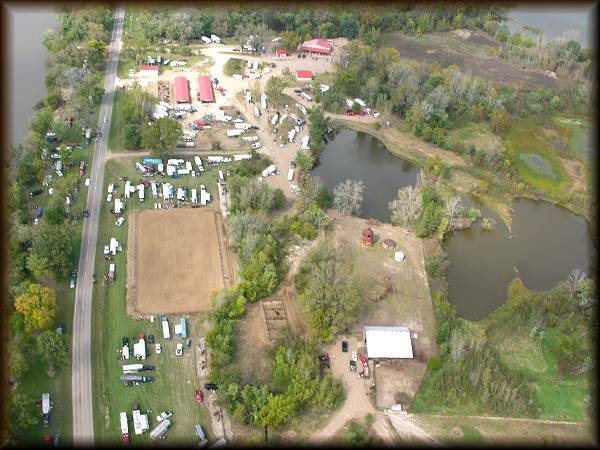 Complimentary Day Use Parking is available south of the arena for either trail riding or arena use but showers are for registered River Valley campers only.